Dennis Hall of Stevens Points, Wis. has been named the head coach for USA Wrestling’s Greco-Roman program at the U.S. Olympic Education Center at Northern Michigan University. CHICAGO, Ill. – The United States Olympic Committee (USOC) and Allstate Insurance Company (NYSE: ALL) today announced the nominees for the U.S. Olympic Hall of Fame Class of 2009 at a press event at the Palmer House Hilton in Chicago. 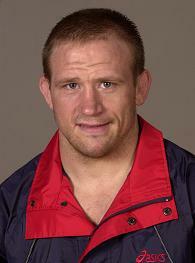 Among the 15 nominees were Olympic wrestling champions John Smith and Jeff Blatnick.